This past week I have had the pleasure of reading Greg Davis’ blog about his and his wife, Lynn’s, adventures in the Great American Mountain Rally Revival. And it was quite an adventure for them to be sure. 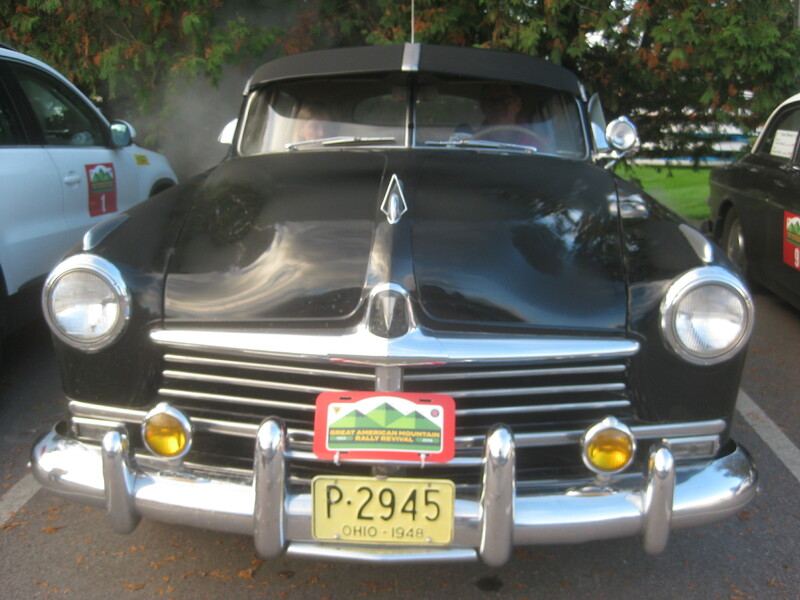 Greg and Lynn Davis entered a 1948 Hudson Commodore in the Original Class (for cars with model years 1958 and earlier) of the Great American Mountain Rally Revival. Greg’s stories about the rally are in three parts – each about one of the rally days. I have included links to each of Greg’s stories. Just click on each link and enjoy! They are an interesting read. Pencil in October 25 – 27, 2019 if you want to take part in next year’s running of the Great American Mountain Rally Revival! The adventure continues! We are currently planning for next year’s running of this rally on October 25 – 27.